This lightweight, high temperature airframe and avionics wire utilizes an insulation of cross-linked, modified ethylene tetrafluoroethylene copolymer (ETFE). The insulation resists high PH cleaning fluids, fuels, lubricating oils, and many other chemicals. The wire can withstand temperature extremes ranging from cold bend (-65°C) through (150°C) . This wire is a mechanically tough, flame retardant and weight saving solution to many defense, aerospace and motorsports applications. 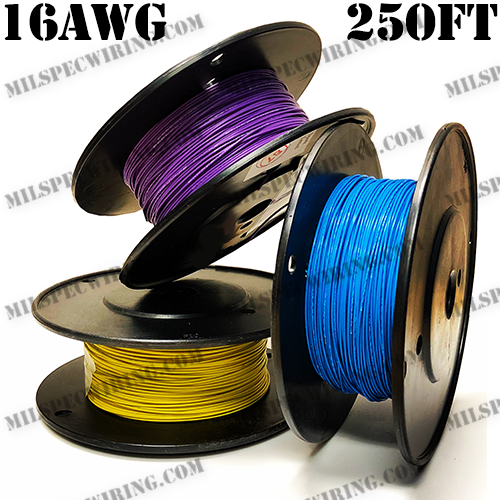 MIL-W-22759/32 wires have cross-linked extruded ETFE insulation for aerospace and other applications requiring light weight, tight diameter tolerances, and enhanced mechanical toughness. Cross-linked ETFE insulation also provides exceptional resistance to radiation and chemicals.